Feel Good Friday! this week is all about Blizzcon. Well, not specifically about Blizzcon itself, but the people who attended, whether in person or via the Virtual Ticket. This was my first proper Blizzcon, even though it was only by Virtual Ticket. 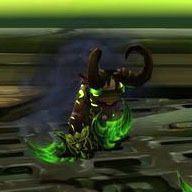 Previously I had only really got the Blizzcon info from sites like mmo-champion and wowhead after it had all happened. Which is all well and good, (and they have done a wonderful job again this year, along with Blizzard Watch), but it didn’t really get me too buzzed. This year, though, I decided a Virtual Ticket was in order. Not just for the Murkadin pet (who is frekaing ADORABLE by the way!!!) but because I wanted to see all of the panels that you can only see with the ticket. I wanted to hear all of the news first hand, and to see the excitement and passion from the Blizzard team themselves. I expected to enjoy watching the videos and hearing the news. What I didn’t expect was to feel like I was almost there thanks to the wonderful WoW twitter community. I watched the opening ceremony with you all. I was there when our twitter feeds went silent as the Warcraft movie trailer and the Legion trailer played, and then when our feeds exploded in to shouts and woops and tears and excitement once they were finished. I was there when we oohed and ahhed over the beautiful new zones that are coming, and I was there for all the BACON!!!! & transmog tweets. I felt like I was there with you all. Getting to experience that together was really heartwarming. I know it sounds corny and stupid, but it was a really wonderful experience to share that time together, even though we were from all corners of the globe. For last weekend, we were all hanging out together, and it was glorious. So this week’s Feel Good Friday! is for everyone! All of you who shared the excitement on twitter; all of you who shared their pictures from Blizzcon itself and helped us to feel like we were there; all of the beautiful cosplayers and the photographers who captured their hard word; all of you who worked your bums off so that we could get all the behind the scenes or non-Virtual ticket content; and to Blizzard themselves for working so hard to pull it all together. I had an amazing weekend, and look forward to Blizzcon 2016.